Hey Guys and Girls! 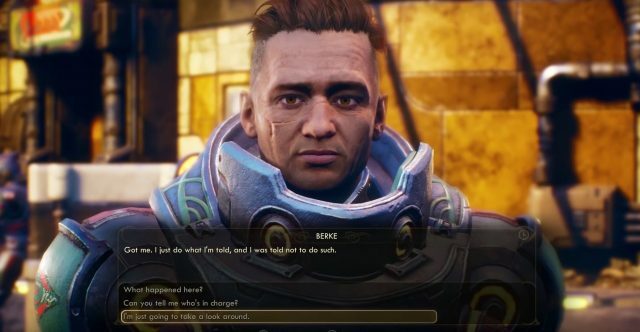 I've put together a post on everything we know about The Outer Worlds so far. We're hard at work putting together the Wiki for the game, and I've compiled as much information into one post here as we can, so that you can get a breakdown rather quickly. You can also check out this information on our blog here. 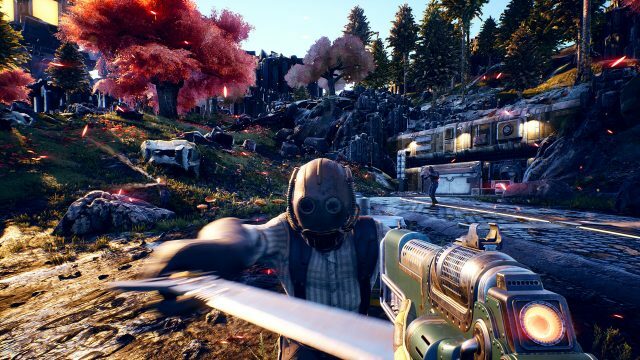 The Game Awards surprised many with the announcement of The Outer Worlds: A single-player, first person RPG from Obsidian Entertainment and the creative team behind the original Fallout and Knights of the Old Republic II titles. With a distinct “This is the next-gen Fallout that never was” feel, the upcoming title brings with it great hope and expectations for fans of the Fallout franchise and of Obsidian Entertainment games. Directors: Tim Cain and Leonard Boyarsky, original creators of Fallout. In a future where humanity has traveled far into space by using special cryogenic chambers, the game presents a semi-open-world exploration experience in a Sci-fi setting. Colonies far removed from earth have become the new frontier, and colonists travel to settle and find promise in these new lands. Mega-corporations have their own plans for these new developments, seeing market opportunities for their many ventures, and not always in the interest of humanity. The game presents opportunity for varied and interesting landscapes, cultures, races and story arcs that promise to branch out with player choices as is traditional for Obsidian’s RPG titles. In light of recent AAA titles such as Red Dead Redemption 2, it is important to note that while the game provides open-world exploration, it is not completely seamless or a completely open galaxy. So the game’s accessible world size will be more akin to Mass Effect than Fallout: New Vegas. Players can expect to explore two Planets (that we know of), several space stations and asteroids within a distant Solar System. Areas open up as players complete quests and unlock them with in-game actions. These locales will have limited level scaling, so adventurers should be careful not to venture forth into certain locations until they are ready for the challenge. As a player-driven story game, player choices are an integral part of story development and will impact not only immediate quest and mission outcomes but affect the player’s Reputation with several Factions and the game’s several Endings. Players might want to make good use of the save feature as the game will have “point of no return” flags. Play as the hero, the villain or the village idiot: it’s your choice! There are six Stats and they have an acronym much like “S.P.E.C.I.A.L” in Fallout, and players obtain a new Perk for every 20 points spent into a Stat. Players can put up to 100 points into a stat, and these attribute points are used to determine your Lockpicking and Hacking. There’s no attached mini-game for either one of these now. The game will feature multiple difficulty Settings. Players can opt to obtain a flaw that makes them vulnerable or weak to certain enemies or ailments. Flaws are unlocked when players meet certain conditions such as having died to or encountered a specific enemy several times. Accepting a Flaw can grant Perk points, and may give a special boon in another aspect unrelated to the specific flaw. Rejecting a flaw does not cause any further statuses. Flaws are permanent and players can have a maximum of 5 flaws on the hardest game setting (3 on normal difficulty setting). Perks, on the other hand, can be re-specced at will. Bullet Weapons: These weapons have light, medium and heavy ammo. Energy Weapons: These weapons have special effects and are charged rather than reloaded. Melee Weapons: Weapons with a short range but powerful effect and no need for any kind of ammo or charge. Science Weapons: Not much is known about them yet, but there’s a “Shrink Ray”. Weapon Mods: Much like the Fallout series, weapons will feature Mods. Modifications are special upgrades that give weapons unique characteristics, such as adding Fire or Shock damage. Players can therefore expect to spend some time gathering Materials and Crafting. For combat, the game uses something similar to Fallout’s VATS – a feature called Tactical Time Dilation. This special ability slows time and displays Enemy information including their classification, armor level, hitpoints and their associated faction. Aiming during Tactical Time Dilation is 100% manual, and the restrictions on use can be eased by investing in Perks and Skills. Companions are also a feature of the game, whereas players can recruit party members to crew their Starship – but can expect these companions to interject in their adventures with their own views, objectives and missions. There are apparently six companions, and we know of two companions already: Ellie and Felix. Players can bring two companions at a time, and inventory is shared among all while out in the field. Companions have their own Perks and three Skills and special Abilities. Companions level up at the same rate as the player character. Companions have their own missions, quests and objectives and will ask for help to fulfill them. Companions have an approval rating and will leave the field if they are against your actions. They will not abandon your party unless you make that choice. All of the companions can be recruited, but some have allegiances to specific Factions and are thus less likely to join you in the field if you are doing something against their interests. Players will have their own Spaceship, that comes fitted with an AI called ADA. 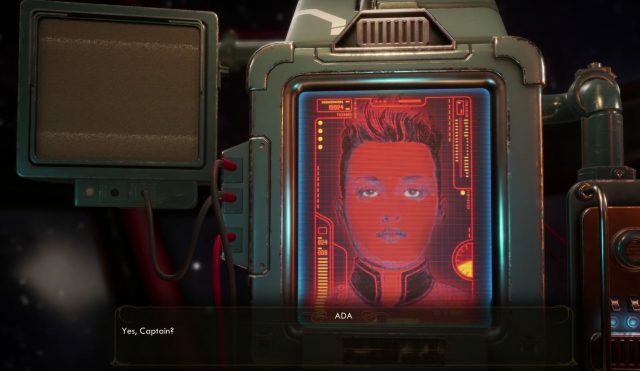 ADA is programmed to change and adapt based on the character’s actions, opening up further promise for role-play and consequences to your choices. The Ship will act as a main hub for your party, as your portable Camp. It is not yet known whether players can make improvements or changes to this base of operations. 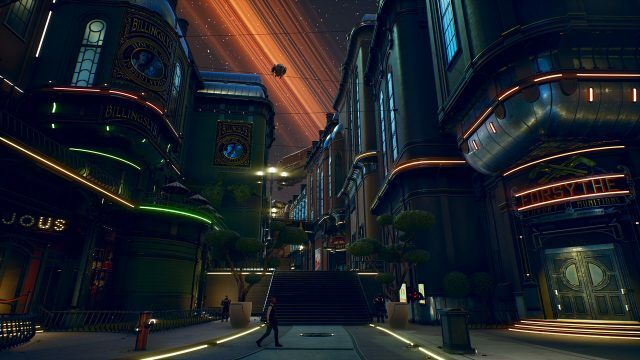 Be sure to visit The Outer Worlds Wiki ! !